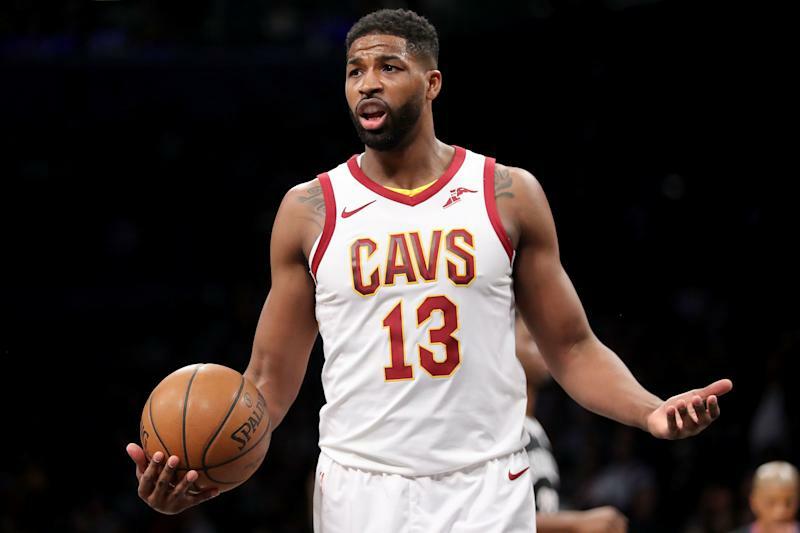 Days beforeKhloe Kardashianis expected to give birth, several videos of her boyfriend, basketball star Tristan Thompson, seemingly cheating on the reality TV star are making the rounds. While the Good American designer prepares to welcome her first child in Cleveland, surrounded by family,a video obtained by The Daily Mail on Tuesday appears to show Thompson cozying up to another woman at a rooftop bar in New York City on Saturday night. The couple, linked together since August 2016, revealed they wereexpecting a baby girl togetheron a recent episode of the famous family’s TV show, “Keeping Up with the Kardashians.” Thompson has made multiple appearances over the last season, seemingly embraced by the ever-expanding family. Kardashian is no stranger to infidelity, having very publicly battled cheating rumors during her marriage to now ex-husband Lamar Odom. The former Los Angeles Laker later admitted carrying on multiple affairsover the course of their relationship, and the two finalized their divorce in 2016.